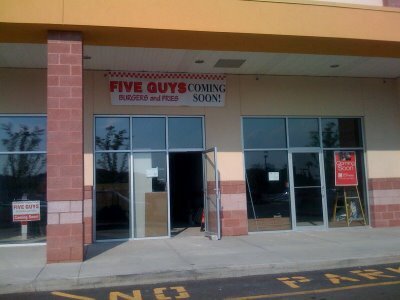 Coming soon to the Stop and Shop plaza in Dedham (right next to Chipotle grill). Never heard of it, but clearly it’s a chain. Anybody know anything about this place?? The menu is mostly beef centric, but it looks like they have Kosher dogs and also veggie burgers and grilled cheese. People with peanut allergies be warned though… their French fries are cooked in 100% peanut oil. Kind of lame considering the number of peanut allergies nowadays… but whatever. I do like how they break out all the nutritional info for you though.